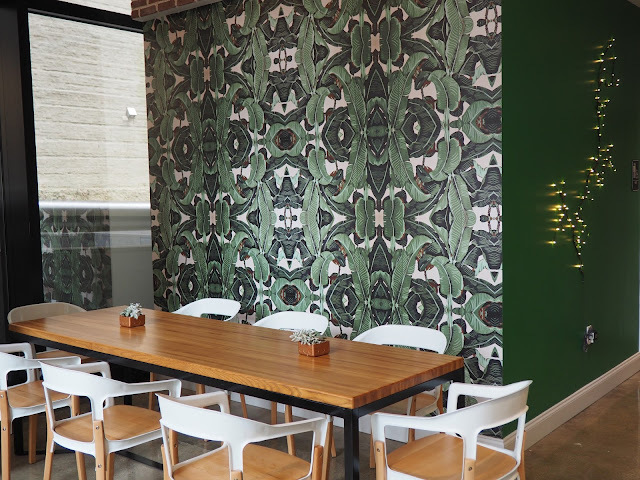 The founders of Gather Kitchen, Soraya and Nicki, have created a beautiful and charming space in the heart of downtown within Thanksgiving Tower. 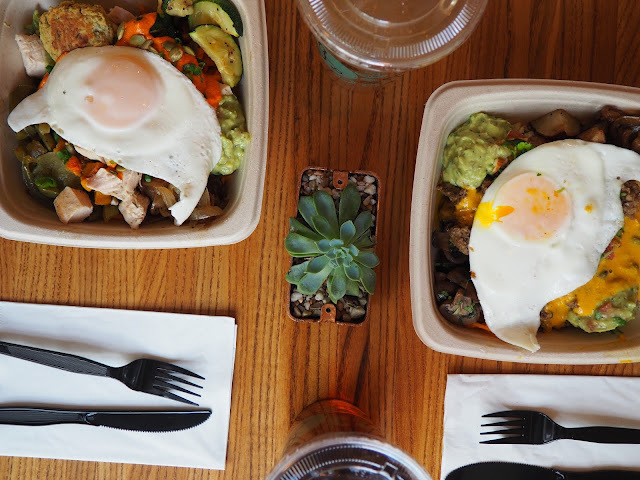 Filled with honest and locally gathered food that's grain free, dairy free, and no refined sugars, there's no reason to not visit. 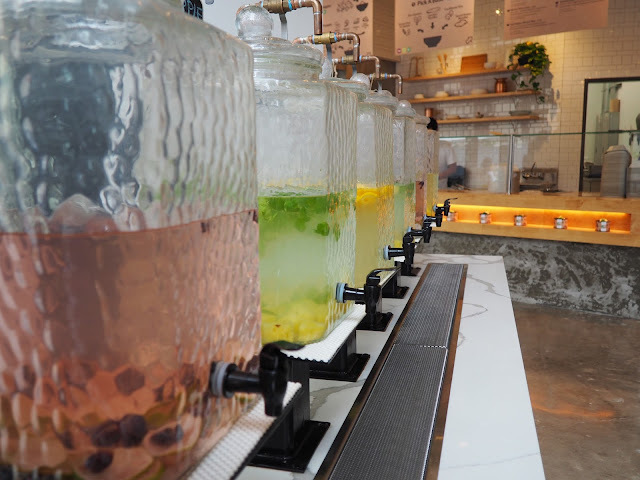 Tons of infused waters available along with lemonade and tea - all is brewed in house! Once I sat down and realized I did not once have to ask if I was safe from dairy, I think this meal tasted even more amazing. 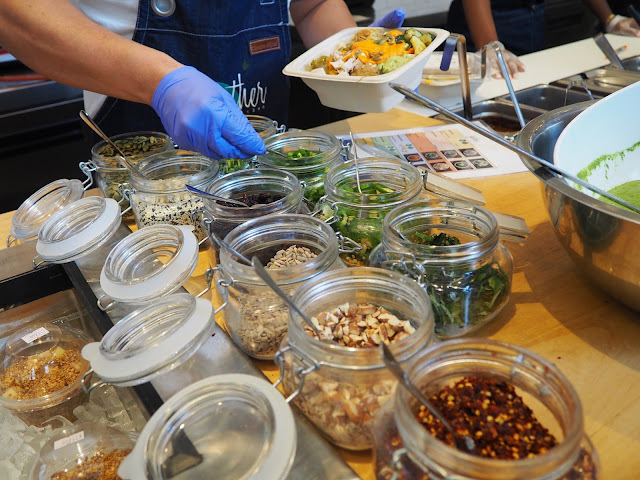 The amount of options for our bowls was overwhelming but it only made it that much more exciting to experience the combo of flavors I had chosen. Soraya and her staff were incredibly helpful in making some of the tougher decisions and they even offered samples so I could be sure I made the right choices. Huge plus - you can make your bowl vegan, whole 30, and paleo friendly! Check out Gather Kitchen's website here and be sure to visit soon. Gather kitchen is clean and hygienic, I was impressed with the environment and the setting. The workers were motivated. The owner has done a great job.